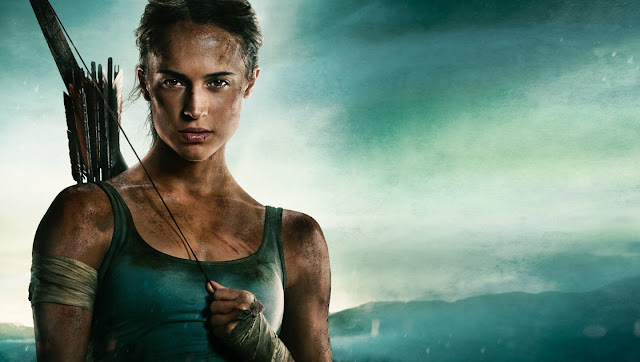 Throughout March and into April, Tomb Raider (2018) composer Tom Holkenborg aka Junkie XL has released erudite Studio Time episodes detailing the production of cues from his score to the film, as the composer usually does with his current projects. The tracks from the Tomb Raider: Original Motion Picture Soundtrack featured include "Return To Croft Manor", "Karakuri Wall", "What Lies Underneath Yamatai" & "Becoming The Tomb Raider". Since the release of Tomb Raider, March 16th, 2018, visitor's to TombRaider.JunkieXL.com have been invited to explore the music from the film. Unlocking all three tombs "containing musical treasures composed by Tom Holkenborg" revealed the Studio Time episodes. Watch all three videos after the jump! A bonus video has Holkenborg demo the custom Tahitian drums crafted for the score. MoTR recently had the exclusive privilege of interviewing the composer pre-release. Tomb Raider is in theaters now and the Tomb Raider: Original Motion Picture Soundtrack is available via all good music retailers & streaming services - check it out in MoTR's Commercial Discography.